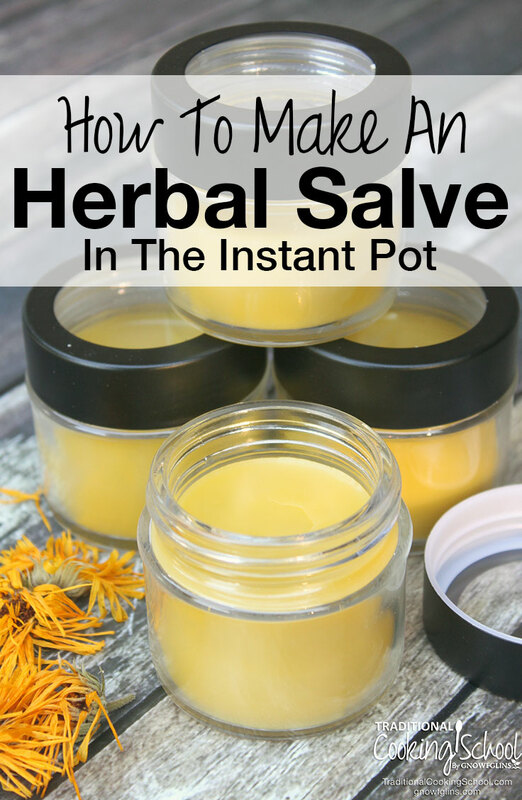 Did you know you can make your own herbal salve… in the Instant Pot?! The Instant Pot is the perfect tool for making a handmade salve. The process is even mostly hands-free — giving you more time for all of your other projects. The recipe requires 2 simple steps. First, you make an herb-infused oil. Second, you make an herbal salve. That's really it! 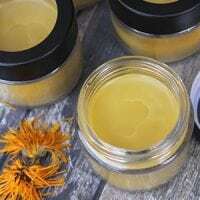 Here's how to make an herbal salve in the Instant Pot! Did you know you can make your own herbal salve... in the Instant Pot?! The process is even mostly hands-free -- giving you more time for all of your other projects. The recipe requires 2 simple steps. First, you make an herb-infused oil. Second, you make an herbal salve. Fill Mason jar about 1/2 full of dried herb of choice. Add olive oil to cover the herb by at least 1 inch. For an herbal salve, you need 1 cup of finished oil, so make sure to cover the herb with at least 1 1/4 cups of olive oil. If you chose multiple herbs, repeat the steps above for the others. The 6-quart Instant Pot fits at least 3 Mason jars at a time, depending on their size. Place the jar(s), uncovered, in the Instant Pot and secure the lid. Put the Instant Pot on the yogurt setting and set the time for anywhere between 24 and 72 hours. The longer the time, the more potent the finished oil. When time is complete, strain herbs out of the oil using a fine strainer and/or cheesecloth. Gently press the herbs to get as much oil out as possible. Use the herbal oil by itself, or continue to Step #2 to make it into an herbal salve! Fill Instant Pot with about 2 inches of water. Choose the Slow Cook setting and set the timer for 30 minutes. Pour oil into a Pyrex measuring cup or Mason jar. Place the measuring cup or jar into Instant Pot, being careful not to get any water into the oil. Do not cover the Instant Pot. Stir the mixture periodically until all of the beeswax has melted. Mine usually takes somewhere between 20 and 30 minutes. When the beeswax is fully melted, put a few drops of the oil mixture onto a piece of wax paper to check the consistency. Let it cool for a minute or two. If the consistency is too hard, add a little more oil. If it's too soft, add a little more beeswax. Once you're happy with the consistency, remove measuring cup or Mason jar from the Instant Pot. Immediately pour into cosmetic jars. Once cool, put the lids on the jars. They are now ready to use! Did you know you could make an herbal salve in the Instant Pot? Have you tried it? Hi, Andrea! This is a little off topic, but not too far, I promise. I’ve got a Midea (the original multi cooker by the manufacturer of Instant Pot) Cooker. This is a great idea for oils. I wish I had thought of it! Thanks to you, I will no longer have to wait weeks for my infused oils! My question is, have you ever tried this with tinctures? Since the yogurt setting stays well below boiling, it shouldn’t burn off the alcohol, but do you think it would evaporate too much to be a viable option? Maybe covering the jar with plastic wrap would help with evaporation. What do you think? I don’t have an instant pot, nor the room to store one. Could you please provide directions for preparing this on the stovetop? I have an instant pot but do not have the yogurt button. Is there a way to do this without using the yourgur setting. Also what would this salve be used for? I have never made or used one. 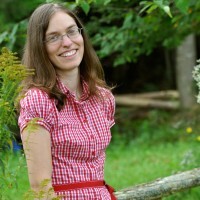 Hi Casey, You can make the herb-infused oil on the stove using a double broiler, or by allowing the herbs to sit in the oil for several weeks. Instructions for both methods can be found here: http://traditionalcookingschool.com/2014/12/02/make-your-own-calendula-salve-a-quick-and-easy-gift-idea/ The herbs in this salve would be good for cuts, scrapes, rashes, and bruises. Are you supposed to put any water in the instant pot? i.e. like a double boiler. I don’t want the mason jar to break. You don’t need water. Put the trivet in the bottom and that will keep the jars up off the bottom of the pot. when infusing the oil with herbs do you set the steam release to venting or sealing? I was wondering if it had to be on venting since it’s in a glass jar? The steam release valve is set to sealing. I’ve never had a problem using glass jars in the instant pot. Unlike the pressure cooking settings, the yogurt setting does not create an abundance of water droplets on the lid. I have had no trouble with water droplets in the oil. I’ve infused oils in my yogurt maker but I’ve always covered the oils to pervent water from getting in the oil…any thoughts on putting a lid on the jars? I have not had problems with water dripping into my jars, but if you were worried about it, I don’t think the lids would hurt. I have a question in regards to making an Herb-Infused Oil in Instant Pot – I need to put Mason jar directly into the Instant Pot – not on the trivet with a little bit of water? Could I use fresh herbs instead of dried? If so, what kind of ratio to oil would I use? We don’t recommend using fresh herbs when infusing oils. The excess moisture in fresh herbs can cause the oil to spoil. Thank you – I got excited so trying it anyway with fresh. Planning to let oil sit for a bit after instant pot to let any water settle in bottom and siphon off oil on top to dry clean jar. Wish me luck.